A geographic information system (GIS) lets us visualize, question, analyze, and interpret data to understand relationships, patterns, and trends, GIS benefits organizations of all sizes and in almost every industry. There is a growing interest in and awareness of the economic and strategic value of GIS. The requirements of GIS vary based on the functions of organization and their nature of the work. We at Clover Infosoft deliver all the required tools and procedures to implement every aspect of enterprise level GIS solutions. Data is the main essence of GIS. 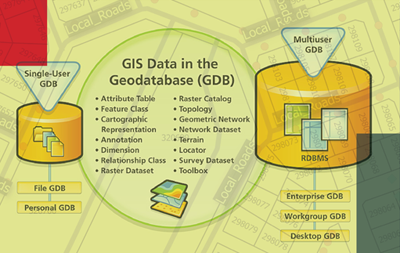 The efficiency & Success of GIS is dependent on right data, well maintained and organized databases. Clover Infosoft undertakes the following related services in creating, updating & managing various data needs. GIS plays a major role in design and analysis of various utility networks. It offers a wide range of tools, procedures and applications for both the implementation and maintenance phases. Network Analyst extension of ESRI ArcGIS is one such power tool that offers wide range of modules in design, analysis and maintenance services. GIS is a powerful tool to support various municipal services of a city. It helps the city authorities to plan and execute various city management programs.